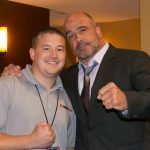 Legacy Fighting Alliance brings LFA 49 to the Golden Nugget Hotel and Casino in Atlantic City, N.J. The card is stacked top to bottom with some of the who’s who in east coast mixed martial arts. In the headlining bout, the surging Sean Brady met Gilbert Urbina. The crowd heavily behind their fighter in Sean Brady. Both competitors are undefeated which means somebody’s “0” has to go. This was a great fight, start to finish but Brady should get the nod on the judges’ scorecards. He gets the job done. After the win, Brady gets on the microphone and calls to fight the LFA champ. Brady, the current CFFC champ wants a champ vs. champ bout. 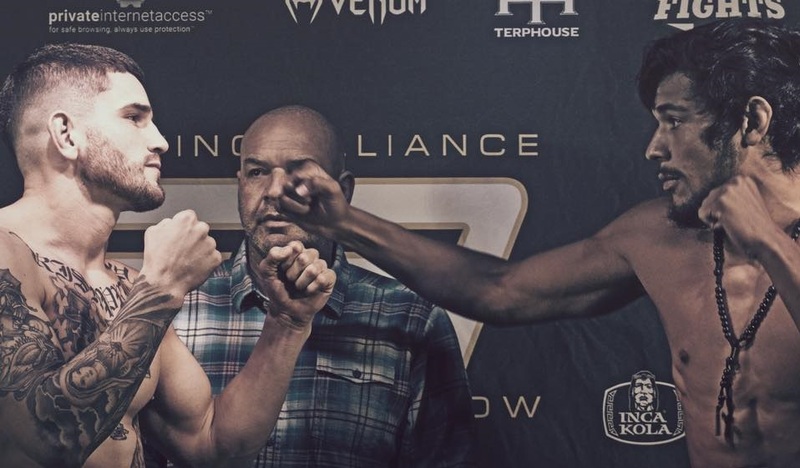 Former UFC fighter Jonavin Webb took on WWE Tough Enough veteran Tanner Saraceno in the co-main event. Webb gets an early take down and works for a submission. Nice, fast pace to this contest. Big shots being exchanged on the feet in the second frame. Webb flattens Sareceno out and begins to unleash the fury. Two rounds to none for Webb. The third round is all Webb. Saraceno has never been to the third round or has he seen a decision. He goes the distance with Webb. Webb wins unanimously. BJJ ace Andy Main met Saul Almeida in what may be Main’s best fight to date. He looked fantastic. Did not expect him to not only win the stand up battle but dictate the pace in doing so…. and look completely calm while doing so. Main had a more difficult time in the second round as Almeida gave him some fits, pressing Main up against the cage. Near the end of the second round, Main threw an illegal knee as Almeida was popping up from the ground. The fight was temporarily stopped. No point deduction, Main warned, but will it impact the fight? In the third and final round, Main finished the fight strong after he locked up a triangle choke and landed elbows from the bottom. This fight goes to the judges for a decision. Main earns a unanimous decision. The night kicked off with a 160-pound catchweight bout between Patrick Rivera and Dakota Bush. Rivera fought most of the fight off his back. Bush is up two rounds to none. The third and final frame starts much like the two previous. Rivera working out of a full guard. With just seconds left in the fight Bush earns the submission victory that he fought for since the get-go. Andrew Salas is demonstrating great wrestling ability in the first round of his fight with Ahmet Kayretli. They get to their feet and Salas is cut open under the eye from an uppercut. Nice, fast pace kept by both guys throughout the second round. Kayretli attacks the body. Salas gets a big slam takedown but Kayretli pops right back up. Tons of action in this fight. Could go either way. Kayretli briefly hurts Salas. Salas calls for more. They each go for a spinning backfist at the exact same time. This one goes the distance. Kayretli wins a unanimous decision and move to 8-2-1. There were two unintentional eye pokes early in the Stephen Regman and Will Santiago fight. No point deduction for Regman initiated the fouls. The hands fly once the fight resumes. Regman throws a flying knee followed by some heavy hands and floors Santiago. Regman stands in front of the camera and calls for a shot in the UFC.